Registration is now open for the 2016 Future Ready Schools (FRS) national summits and workshops to help district leaders improve teaching and student learning outcomes through the effective use of technology. Free, two-day summits offer district teams the opportunity to work with Future Ready facilitators to jump-start their planning and refine their vision for personalized learning. 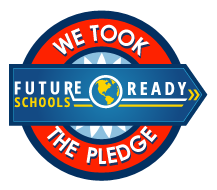 The national summits are open to leadership teams from districts where the superintendent has signed the Future Ready District Pledge. FRS is also offering free, one-day training workshops for individuals on utilizing the FRS dashboard, a comprehensive online planning tool to help districts assess readiness, gather input, and create an action plan for digital learning through a five-step process.